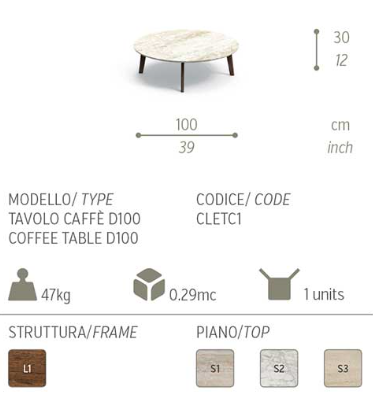 Cleo Outdoor Coffee Table With Teak Wood Frame And Travertine Marble Top By Talenti is a gorgeous and useful table, ideal for outdoor use, available in 2 sizes. The simple and classic design ensures it will fit in with most settings, adding a touch of luxury. 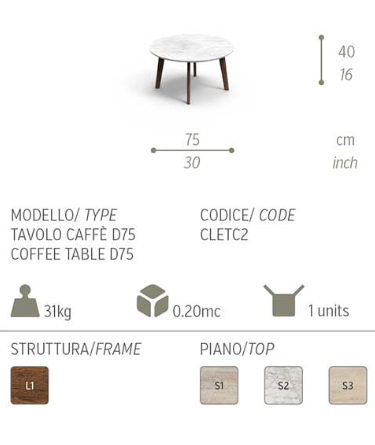 Care for the table frame as you would a teak outdoor table. Periodically, clean the table frame with a teak cleaner to remove mold and grime. Lightly sand any loose fibers if necessary. Optionally, then treat with a teak protector. This will bring out the natural lustre in the Teak wood. The travertine top is natural. To protect it from stains, make sure that the surface is clean and mark-free. Then apply a suitable stone sealer.